After you created or imported a 3D model, some preparation is usually required to make it 3D printer friendly. This blog post describes some of the most important ones. After important a model, it is often necessary to translate the model to the origin before working with it. 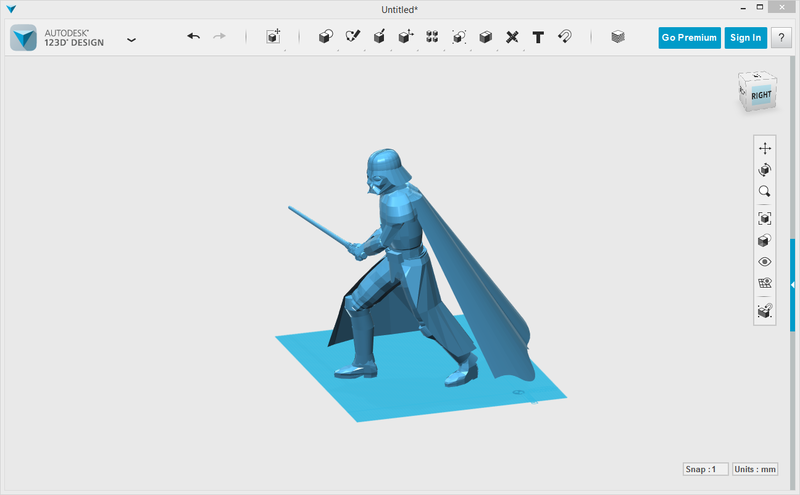 Take the Darth Vader model below for example, after importing it into Autodesk 123D Design, one will find that it is well above the ground plane. Darth Vader model right after import. To fix the problem using the translation and rotation feature and to viewing perspective cube at the top-right to bring Darth Vader down to the ground plane. 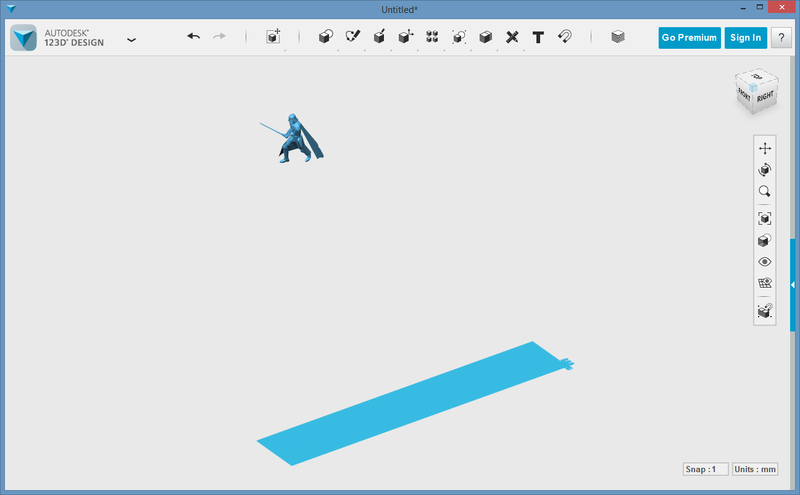 Using the tranlation/rotation feature and viewing perspective cube (top-right) to bring model down to near the origin. Darth Vader brough near origin, unscaled. Now, notice the scaling will introduce more offsets. To remove the offset, simply use the translation tool to move the scaled model down more. More often than not, the translation tool and the scaling tools need to be used iteratively to bring out the desired result. 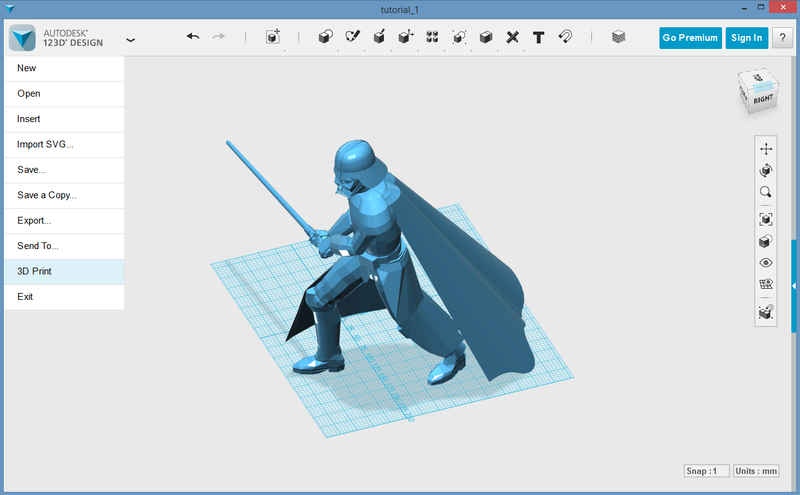 After a few iterations, a 7.5cm wide Darth Vader model is achieved. 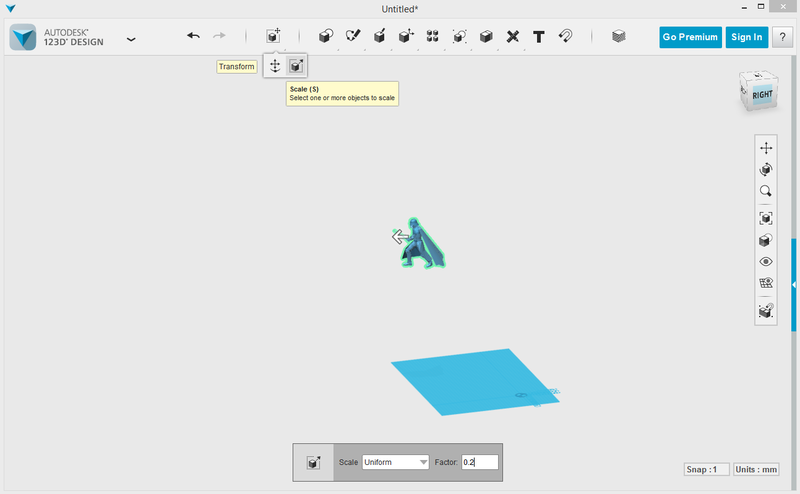 Now let’s make sure we save the model as a 123D Design file, but also export is as an STL file. Darth Vader scaled to 7.5 cm wide. 3D Print button to ensure model is water-tight. Run Meshmixer Repair tool to make Darth Vader watertight. 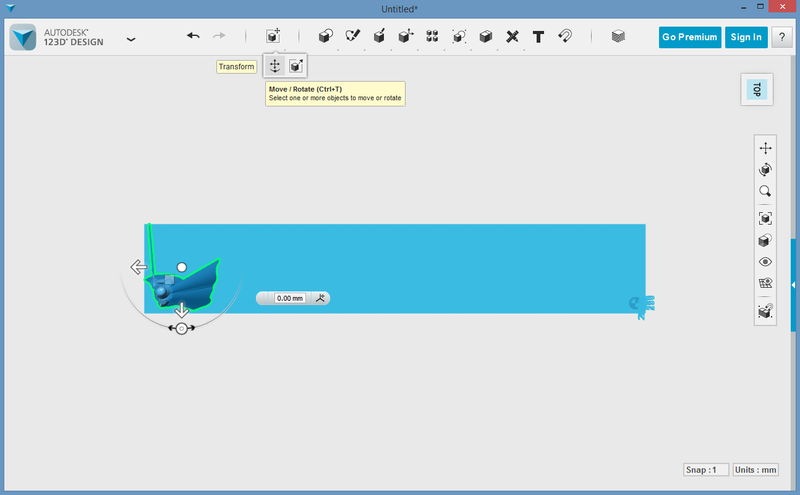 After the model is repaired, export the model as a STL file. 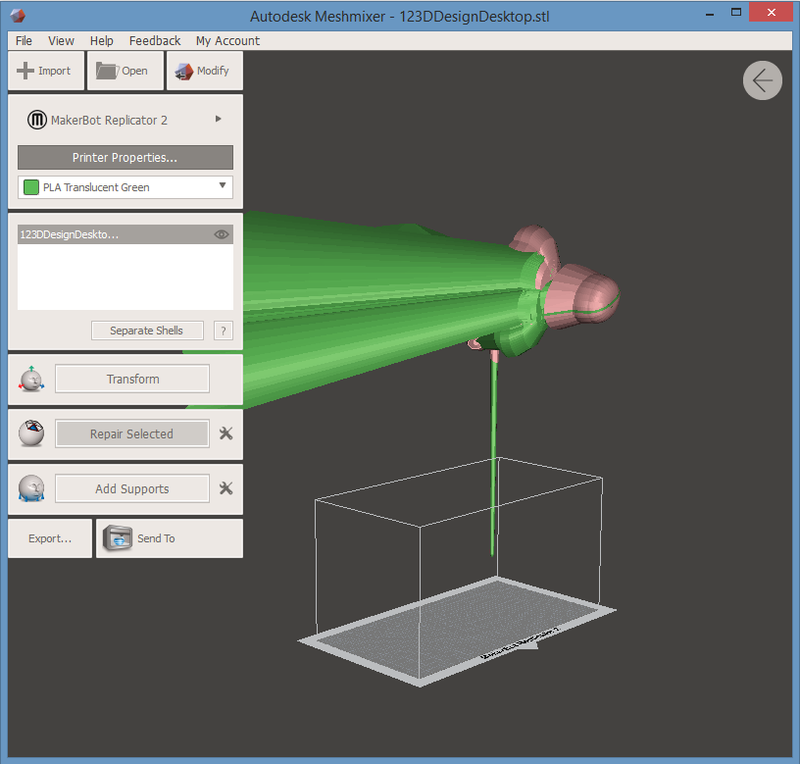 The Export button is at the bottom left of the Meshmixer window. 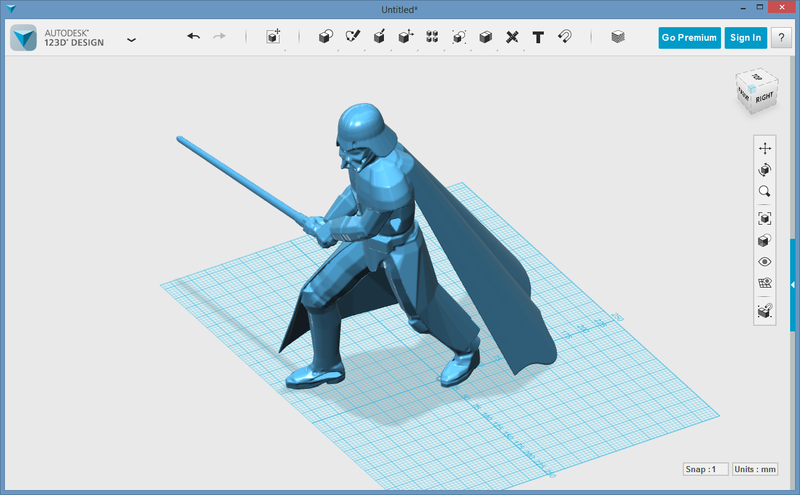 Repaired Darth Vader STL file imported into 123D Design. Careful comparison of the repair model and the original model, one will fine the repaired model is fully enclosed, and there is more smooth. The repair model is now almost suitable for importing into the 3D printing software, such as Simplify3D. Sometimes a model is complex enough that it needs to be sliced into more 3D-printable pieces. For example, the X-Wing Flighter when sliced like the figure below, will make it much easier to “extrude” or print. Notice the plane where the slice occurs is where the maximum cross section area. Spliting complex model to make it more 3D printer friendly. While slicing a model can improve 3D printing, it requires one glue the pieces together after printing. 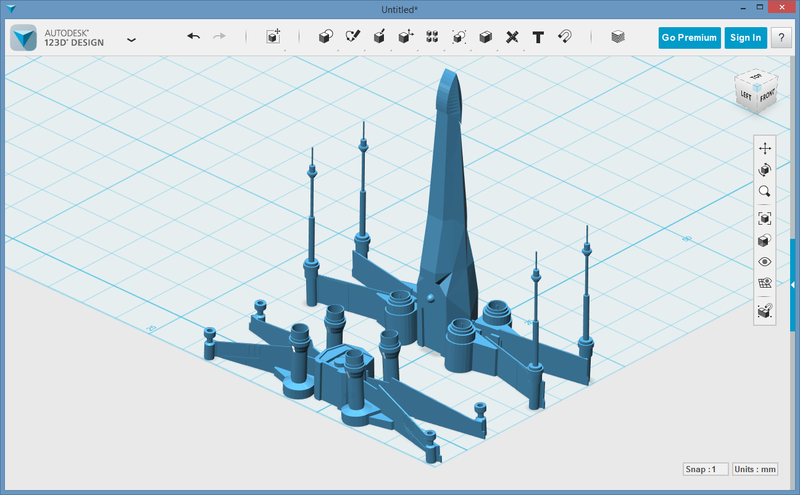 Alternatively, one can add support to the model to enable help 3D printer. 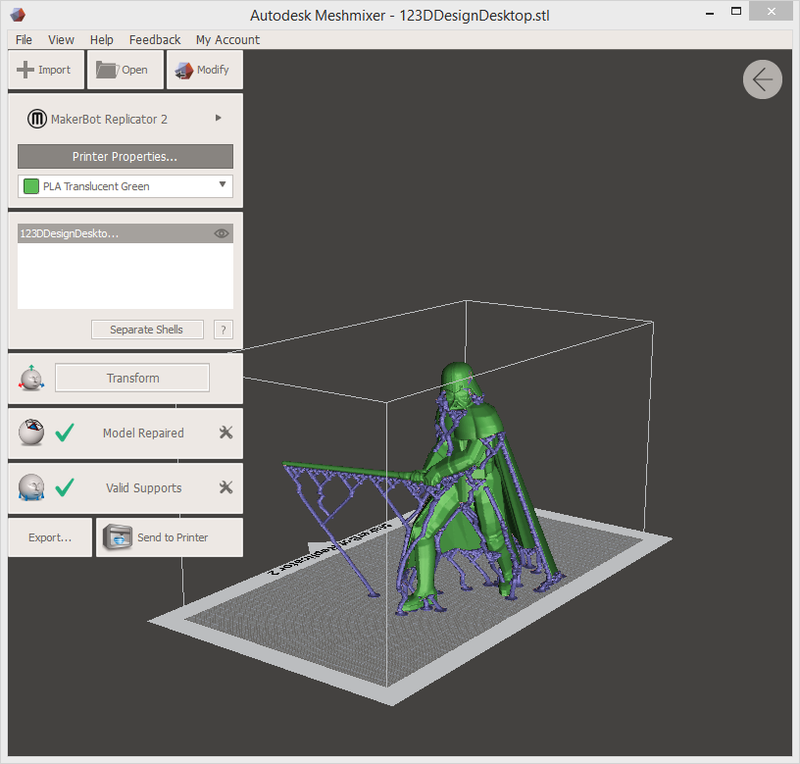 Both Simply3D and Meshmixer supports adding support. But I find Meshmixer produces better support structure that is easlier to break off after printing. Below is an example of Darth Vader with support structure added. After the support is added, the model with support can be exported as a STL file, which can then be imported by Simplfy3D. In this case, the model should be printed without Simply3D adding any additional support. Darth Vader model with support added, using Meshmixer.